Sunday 3rd August saw Dartmouth host to the Dartmouth Crab Festival – a one day street party, which showcased the best fresh crab, and wine locals have to offer. 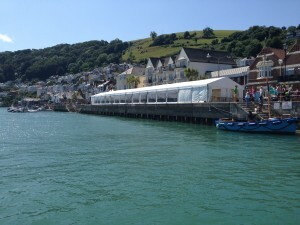 The Devon Marquee Company were commissioned to produce a marquee which would sit on a barge alongside the beautiful River Dart and help form a pop up restaurant, whereby people could sit and sample a mouth-watering array of fresh local crab and other produce. 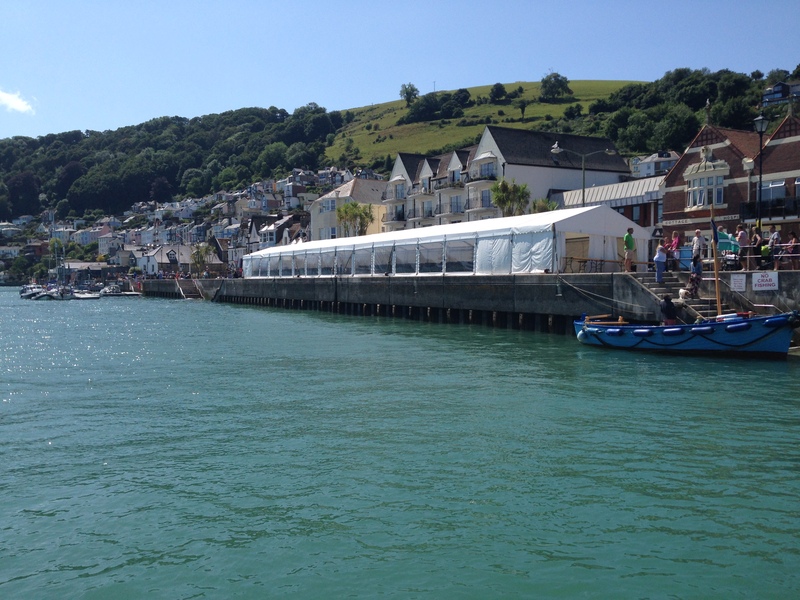 For this, we chose a 6 x 36ft clear span marquee, which meant that it could easily seat a large number of visitors. Its clear panoramic windows also meant that the majority of people had a great view of the River Dart on which they were sat, further reminding them of just how fresh the food they were eating was.